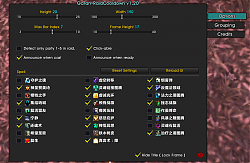 This is a raid mod which displays the cooldown of important spells of raid members. It makes cooldown arrangement and tracking easy and convenient. 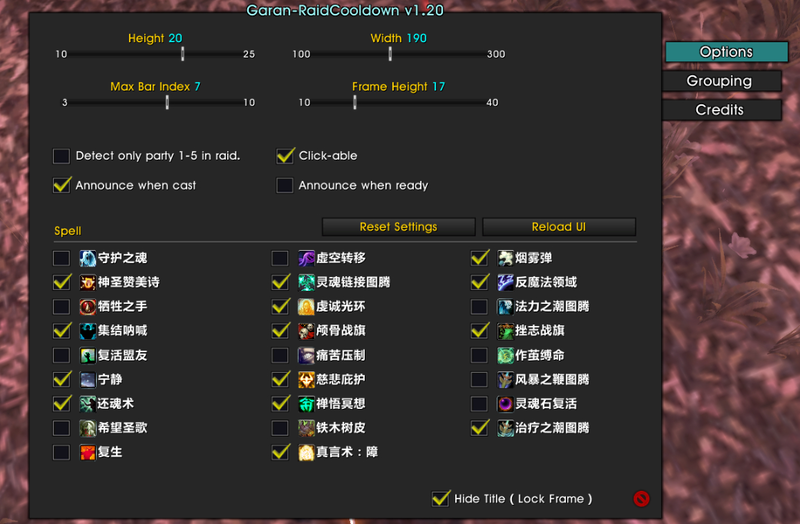 In addition to displaying cooldown time I also added some other useful features. One of them is Grouping Spells. 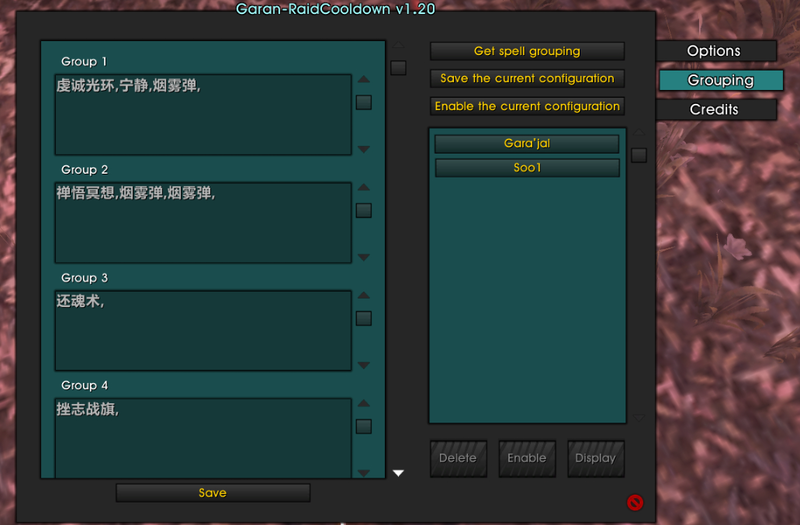 For example, in fight with Megaera, you may want to arrange several cooldowns during every Rampage. With this addon you can display your arrangement clearly by grouping the spells. You may also save the grouping for future use. I created it for my raid leader and decide to share it now. It's light-weight and it's very easy to use. Fix some bugs of reporting. Hey man, really cool addon! Any chance you would consider adding the option to choose what font the addon uses and is there a way to disable the minimap button? PS: I also had to edit some code to be able to put the bars all the way to the left side of the screen, is this intended? Last edited by Zyke123 : 08-19-16 at 01:49 PM. Good day, thanks u for the work on the addon. Do you plan to update the addon in the next patch (wod)? If so, when will update addon? добрый день, спасибо за работу над аддоном. планируется ли вами обновление аддона в следующем патче (wod)? Если да, когда будет обновление аддона? heyhey, thats really a fantastic addon. Looks promising, im not sure how the group announcing works. Do you just add names or spells in the list, can't seem to get that to work at all unfortunately? Also the announcing seems a little bugged, im saying things two or three times when rightclicking for example. I think I fixed it now. It is still not working. Exact same problem, using version 1.20. It's in pending now, you downloaded the older version. Sorry to say this, but this addon is very buggy. And why does it whisper ppl in chineese or japaneese ?